All Is Revealed!!! Star Wars Blurays!!!! All Is Revealed!!!! Star Wars Blurays!!!! Some news has come in from 20th Century Fox and Lucasfilm telling us that “ALL IS REVEALED”!!! This is in reference to the upcoming blu rays of the Star Wars films. There is a website that has been conjured up that has an official countdown clock that will expire on May 4th, 2011. 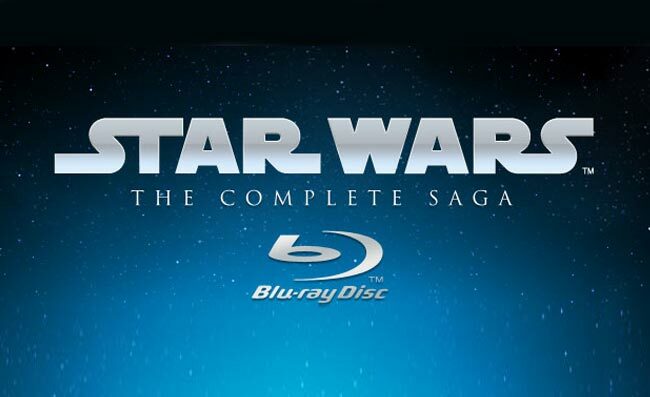 “Bring home the adventure and share Star Wars™ with your whole family – when STAR WARS: THE COMPLETE SAGAcomes to Blu-ray Disc from Lucasfilm Ltd. and Twentieth Century Fox Home Entertainment! To be released beginning on September 12 internationally and on September 16 in North America, the nine-disc collection brings the wonder of the entire Saga direct to your living room, where you can revisit all of your favorite Star Wars moments – in gorgeous high definition and with pristine, 6.1 DTS Surround Sound. Dive deeper into the universe with an unprecedented 40+ hours of special features, highlighted by never-before-seen content sourced from the Lucasfilm archives. NEW! Star Warriors (2007, Color, Apx. 84 Minutes) – Some Star Wars fans want to collect action figures… these fans want to be action figures! A tribute to the 501st Legion, a global organization of Star Wars costume enthusiasts, this insightful documentary shows how the super-fan club promotes interest in the films through charity and volunteer work at fundraisers and high-profile special events around the world. NEW! Star Wars Spoofs (2011, Color, Apx. 91 Minutes) – The farce is strong with this one! Enjoy a hilarious collection of Star Wars spoofs and parodies that have been created over the years, including outrageous clips from Family Guy, The Simpsons,How I Met Your Mother and more — and don’t miss “Weird Al” Yankovic’s one-of-a-kind music video tribute to The Phantom Menace! The Making of Star Wars (1977, Color, Apx. 49 Minutes) – Learn the incredible behind-the-scenes story of how the originalStar Wars movie was brought to the big screen in this fascinating documentary hosted by C-3PO and R2-D2. Includes interviews with George Lucas and appearances by Mark Hamill, Harrison Ford and Carrie Fisher. Well so far, that is it for this morning. Tons of extras. I think it will be pretty cool to see deleted scenes, especially that one where Luke is building his lightsaber. We saw a clip of that a while ago in a preview for this epic saga. Yo can to the EPIC STAR WARS SAGA SITE HERE and see some images and according to the site, if you share the information thru various social networks, new images and info will be released in the coming days. Now on Amazon all three different sets in the saga are quite cheap at the moment. The entire six film saga is currently going for $89.99 while the two separate trilogies: Episodes 1-3 and Episodes 4-6 are going for $44.99 each. So pre-order today and if these releases are anything like the previous releases, you can expect them to go out of print at some point. George Lucas Rapes My Childhood Yet Again!!! The Lucas Museum Of Narrative Art Will Be Located In L.A.!!! This entry was posted on Tuesday, May 3rd, 2011 at 1:30 am	and is filed under Film, News. You can follow any responses to this entry through the RSS 2.0 feed. You can skip to the end and leave a response. Pinging is currently not allowed. WTF??? The link doesn’t work anymore! Just like all of Star Wars… I start out excited and end up disappointed. The links work. When you got on, the site was probably over loaded due to mass amounts of people getting on. They definitely work now. Looks like an excellent set. « Wes Anderson’s New Film, “Moonrise Kingdom” Gets Picked Up By Focus Features!! !